The following two entries in this list are the window into my soul. They’re the kind of shows that made me want to watch anime in the first place. To this day, they’re the kinds of shows I still get excited about and why I wanted to write about anime at all on my blog. Sure, it’s not high art or saying anything especially important, but at the end of this day, this is a form of entertainment, something many people who talk about things online seem to forget. And these shows I need to talk about now have entertained the crap outta me. Cut from the same cloth, these last two shows well probably surpise nobody. All you have to do is look at what I’ve been writing about this past year in my tag list and you already know what’s going onto this list today and tomorrow. I’ll still keep some empty anticipation though and make you click the link below to reveal the title card for the show though. I am simple Shonen trash, I know it. Why deny it. My Hero Academia has been a revelation in anime for me. As it’s been for a great many people I imagine. In its first three seasons, My Hero Academia has boiled the Shonen genre back to basics and executed it fantastically. Recognising and improving on all of the best aspects of the genre while, so far, managing to keep away from the common pitfalls that these shows often can’t help but drop into. Part of the reason for this is that the show runs in a seasonal format, rather than the ongoing, never ending style that shows like Naruto and Dragon Ball have done. This means My Hero avoids the padding and weak filler that those shows became synonymous with at certain times during their run. It also means the show keeps a consistent pace of storytelling, character development and action. Those last two things are the primary drives behind my love for this show, especially now. 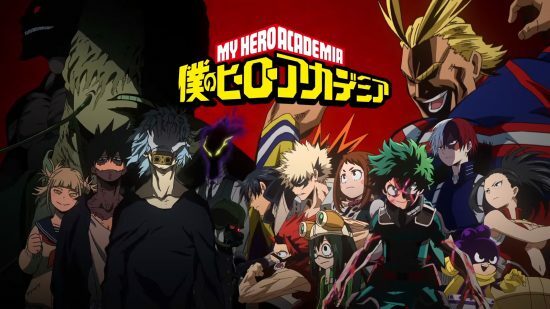 The first couple of seasons of My Hero felt like being on a never ending escalator of hype, putting Deku in increasingly perilous situations and assigning more and more stakes to what was going on, even if there wasn’t really a need to. 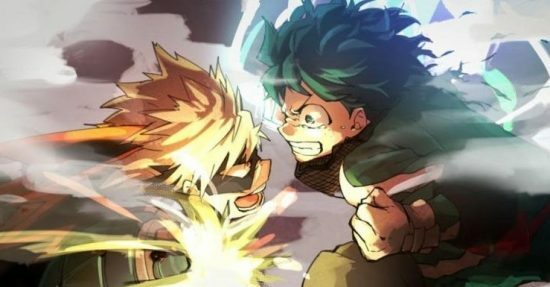 It made moments like All Might battling the first Nomu or Deku fighting Todoroki all the more impactful when they happened. Season 3 takes a step back from that, at least for me. It takes more time do deal with its characters. Deku is finally in a place where he can use his powers relatively freely and has been recognised as one of the most capable heroes in his class. This means that this season spends a lot more time focusing on the character relationships, drawing comparisons between its heroes and villains and drawing lines in the sand. Season 3 is more about All Might’s journey than Deku’s, leading to the point where he is finally outed to the world and loses his powers. It builds up to one of the most incredible highlights of the series in the battle between him and All for One towards the end. Fleshing out, not just All Might and Deku, but transforming Bakugo of all people. Bakugo has gone from being a dangerous psychopath in my estimation and become one of the best developed characters in the entire show. It’s all a testament to how good a writer Kōhei Horikoshi. He knows these tropes and character beats so well, and is constantly playing with them, surprising everyone. His inspiration from western media is obvious and its amazing seeing it deconstructed to some extend in the events of this show as it leans into and then away from the expected story beats of these kinds of shows. In and out of anime. 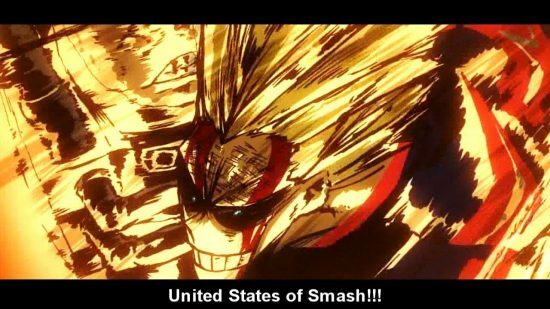 I love My Hero Academia. It deserves all of the praise it gets. And while this season might not have been the red hot hype factory of seasons past. It added more layers to its characters and feels like its building to something really special. 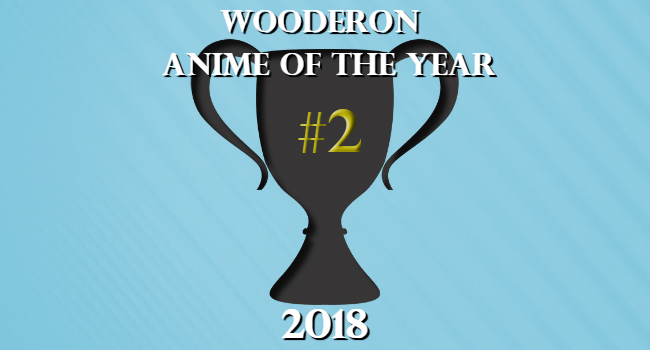 Posted on December 29, 2018 December 20, 2018 by WooderonPosted in 2018, Best of Year:Tagged all for one, all might, anime of the year, bakugo, deku, Kōhei Horikoshi, my hero academia, todoroki, united states of smash.